Born in Riyadh, Saudi Arabia, in 1957, Osama bin Laden was the 17th of 54 children fathered by Saudi billionaire Mohammed bin Laden. The elder bin Laden, an immigrant from Yemen, was the head of a successful construction firm—building many of the palaces and major roads in the kingdom as well as renovating Jerusalem’s Al Aqsa Mosque. Osama’s mother, Hamida al-Attas, came from a prominent Syrian Alawite family and was Mohammed bin Laden’s tenth wife. Osama’s parents divorced soon after he was born, and his father died in a plane crash when he was five years old. Nevertheless, Osama would later work for and inherit millions from his father’s business empire.Lawrence Wright, The Looming Tower, (New York: Random House, 2011), 75, 84; Victory D. Comras, Flawed Diplomacy: The United Nations & the War on Terrorism, (Washington D.C.: Potomac Books, Inc., 2010), 36. In high school bin Laden joined the Saudi branch of the Muslim Brotherhood and read the extremist texts of influential Brotherhood ideologue Sayyid Qutb. Bin Laden’s friend at the time, Jamal Khalifa, later said that Qutb “was the one who most affected [his and bin Laden’s] generation.”Alastair Finlan, The Test of Terrorism: Responding to Political Violence in the Twenty-First Century, (London: Routledge: 2015); Lawrence Wright, The Looming Tower, (New York: Random House, 2011), 90-92. In his books, Qutb called for an Islamic “vanguard” to take up jihad against secular governments and eventually resurrect the caliphate. Qutb also re-popularized the Islamic concept of takfir, which permits the labeling of fellow Muslims as apostates, thus justifying their persecution and murder.Alastair Finlan, The Test of Terrorism: Responding to Political Violence in the Twenty-First Century, (London: Routledge: 2015). Lawrence Wright, The Looming Tower, (New York: Random House, 2011), 109. Bin laden acted as a visiting envoy, meeting various militant leaders and devising ways to raise funds for the mujahideen (“holy warriors”). In the early-mid 1980s, he traveled back and forth between Saudi Arabia, where he implored wealthy family members to financially support the Afghan jihad. Bin Laden also brought construction machinery and Arab recruits into Afghanistan, and provided the fighters with logistical and humanitarian aid.Kate Zernike and Michael T. Kaufman, “The Most Wanted Face of Terrorism,” New York Times, May 2, 2011, http://www.nytimes.com/2011/05/02/world/02osama-bin-laden-obituary.html; “Osama Bin Laden: A Chronology of His Political Life,” PBS Frontline, accessed March 15, 2015, http://www.pbs.org/wgbh/pages/frontline/shows/binladen/etc/cron.html. Bin Laden’s former professor, Abdullah Azzam, arrived in Peshawar in late 1981, and the two men worked closely to recruit, train, and equip Arab fighters for the jihad.Lawrence Wright, The Looming Tower, (New York: Random House, 2011), 111. In September 1984, bin Laden and Azzam decided to create a formal role for Arabs and other foreign, (including Western), fighters in Afghanistan. The pair soon established the Services Bureau (Makhtab al-Khadamat)—an office, printing center, funds repository, and hostel for foreign mujahideen. Bin Laden also began to offer plane tickets, residences, and living expenses for the men, and by 1986 was believed to be paying $25,000 per month to subsidize the fighters.Lawrence Wright, The Looming Tower, (New York: Random House, 2011), 117-119. “Origins of Al Qaeda,” Global Issues on Terrorism, accessed May 1, 2017, https://sites.stedwards.edu/craigc-culf331111fa2014/group-middle-east-and-north-africa/origins-of-al-qaeda/. “Origins of Al Qaeda,” Global Issues on Terrorism, accessed May 1, 2017, https://sites.stedwards.edu/craigc-culf331111fa2014/group-middle-east-and-north-africa/origins-of-al-qaeda/. The disagreement ended when Azzam was killed in Peshawar on November 24, 1989.Aryn Baker, “Who Killed Abdullah Azzam?,” Time, June 18, 2009, http://content.time.com/time/specials/packages/article/0,28804,1902809_1902810_1905173-1,00.html. Zawahiri continued to direct EIJ until it was finally merged with al-Qaeda in 2001. (According to some analysts, the EIJ-al-Qaeda merger occurred in 1998. Others note that it began in 1998 and was finalized in 2001). Lawrence Joffe, “Hassan al-Turabi obituary,” Guardian (London), March 11, 2016, https://www.theguardian.com/world/2016/mar/11/hassan-al-turabi-obituary. Turabi proposed allowing bin Laden use Sudan as al-Qaeda’s base in exchange for the building of roads and support in the ongoing war against Christian separatists in Southern Sudan.National Commission on Terrorist Attacks upon the United States, Thomas H. Kean, and Lee Hamilton. 2004. The 9/11 Commission report: final report of the National Commission on Terrorist Attacks upon the United States. (Washington, D.C.): 57, http://govinfo.library.unt.edu/911/report/911Report.pdf. Bin Laden would not relocate to Sudan until late 1991.“Osama Bin Laden: A Chronology of His Political Life,” PBS Frontline, accessed March 15, 2015, http://www.pbs.org/wgbh/pages/frontline/shows/binladen/etc/cron.html. In August 1990, as U.S. forces arrived in Saudi Arabia to prepare for the first Gulf War, bin Laden urged Saudi King Fahd to expel the Americans and instead allow the veterans of the Afghan war to defend the Arabian Peninsula. King Fahd declined bin Laden’s offer in favor of U.S. and allied forces.Andrew Wander, “A History of Terror: Al-Qaeda 1988-2008,” Guardian (London), July 12, 2008, http://www.theguardian.com/world/2008/jul/13/history.alqaida. Enraged, bin Laden began to publicly rebuke the monarchy for its alliance with the United States, prompting Saudi Arabia to expel him in April 1991. Bin Laden fled to Afghanistan, and then accepted Sudanese leader Hassan al-Turabi’s offer—arriving in Sudan by 1992.“Osama Bin Laden: A Chronology of His Political Life,” PBS Frontline, accessed March 15, 2015, http://www.pbs.org/wgbh/pages/frontline/shows/binladen/etc/cron.html. There, he established legitimate businesses and began to build out the al-Qaeda network.“Osama Bin Laden: A Chronology of His Political Life,” PBS Frontline, accessed March 15, 2015, http://www.pbs.org/wgbh/pages/frontline/shows/binladen/etc/cron.html. The first attack orchestrated by bin Laden and his associates occurred on December 19, 1992, when a bomb exploded in a hotel room in Aden, Yemen, killing two Australian tourists. Bin Laden had intended for the explosion to kill a unit of U.S. soldiers, but those troops had already left the premises.“Osama Bin Laden: A Chronology of His Political Life,” PBS Frontline, accessed March 15, 2015, http://www.pbs.org/wgbh/pages/frontline/shows/binladen/etc/cron.html. Attacks perpetrated by al-Qaeda operatives and like-minded jihadist increased in the following years. On February 26, 1993, Ramzi Yousef—a Pakistani terrorist not directly linked to al-Qaeda—carried out the Word Trade Center bombing, killing six people and injuring over 1,000 others. While bin Laden praised Yousef’s bombing, he is not believed to have played a role in the attack.Robert Windrem, “Al-Qaida timeline: Plots and attacks,” MSNBC Research and NBC News, http://www.nbcnews.com/id/4677978/ns/world_news-hunt_for_al_qaida/t/al-qaida-timeline-plots-attacks/#.WN61y28rKpo. “Osama Bin Laden: A Chronology of His Political Life,” PBS Frontline, accessed March 15, 2015, http://www.pbs.org/wgbh/pages/frontline/shows/binladen/etc/cron.html. The Taliban controlled much of Afghanistan by the time bin Laden arrived. The group’s leader, Mullah Omar, allowed bin Laden to settle his family and operatives in the eastern city of Jalalabad. Bin Laden would later pledge allegiance to Mullah Omar in late August or early September 1998, forming a bond between the groups that persists to this day.Lawrence Wright, The Looming Tower, (New York: Random House, 2011), 254-255, 326. 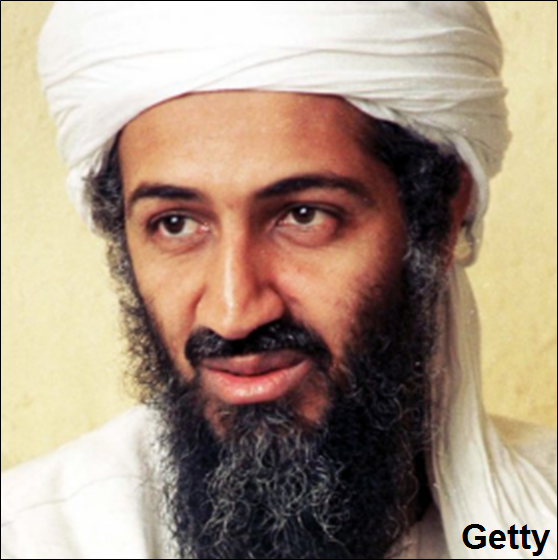 “Timeline: Osama bin Laden, over the years,” CNN, May 2, 2011, http://www.cnn.com/2011/WORLD/asiapcf/05/02/osama.timeline/. Soon after the fatwa’s publication, bin Laden was visited by Khalid Sheikh Mohammed (KSM)—the uncle of World Trade Center bomber Ramzi Yousef. KSM appealed to bin Laden for funds and material to carry out a largescale attack in the United States. Bin Laden agreed to front the funds and asked KSM to join al-Qaeda, though KSM politely declined, deciding to operate independently.National Commission on Terrorist Attacks upon the United States, Thomas H. Kean, and Lee Hamilton. 2004. The 9/11 Commission report: final report of the National Commission on Terrorist Attacks upon the United States. (Washington, D.C.): 147, http://govinfo.library.unt.edu/911/report/911Report.pdf. Bill Mears, “Bin Laden charges formally dropped,” CNN, June 17, 2011, http://www.cnn.com/2011/US/06/17/bin.laden.charges/. At around the same time he was indicted in New York, bin Laden met with KSM in Pakistan and officially approved his plot to weaponize airplanes and crash them into buildings in the United States. The 9/11 plot had begun to take form.National Commission on Terrorist Attacks upon the United States, Thomas H. Kean, and Lee Hamilton. 2004. The 9/11 Commission report: final report of the National Commission on Terrorist Attacks upon the United States. (Washington, D.C.): 149; 167, http://govinfo.library.unt.edu/911/report/911Report.pdf. In November 1999, bin Laden received four visitors—Mohamed Atta, Marwan al Shehhi, Ziad Jarrah, and Ramzi bin al-Shibh. The men were members of an al-Qaeda cell in Hamburg, Germany, and were eager to partake in a terrorist attack against the United States. After swearing fealty to bin Laden, the men were instructed to enroll in flight training schools in the West. Bin Laden selected Atta to lead the cell, and revealed to him al-Qaeda’s top targets in the United States: the World Trade Center, the Pentagon, and the U.S. Capitol. Atta, Shehhi, and Jarrah would become hijacker-pilots in the 9/11 attacks, whereas Shibh would serve as a key facilitator in the attacks.National Commission on Terrorist Attacks upon the United States, Thomas H. Kean, and Lee Hamilton. 2004. The 9/11 Commission report: final report of the National Commission on Terrorist Attacks upon the United States. (Washington, D.C.): 166; 242, http://govinfo.library.unt.edu/911/report/911Report.pdf. Shibh is currently held by the United States as an enemy combatant at Guantanamo Bay, Cuba.“Ramzi Bin al Shibh: Guantanamo Docket,” New York Times, https://www.nytimes.com/interactive/projects/guantanamo/detainees/10013-ramzi-bin-al-shibh. On October 12, 2000, in al-Qaeda’s last largescale attack before 9/11, two al-Qaeda suicide bombers steered a small boat laden with 400 to 700 pounds of explosives into the port side of the USS Cole while it refueled in Aden port, Yemen. The explosion killed 17 U.S. sailors.“USS Cole Bombing Fast Facts,” CNN, October 6, 2016, http://www.cnn.com/2013/09/18/world/meast/uss-cole-bombing-fast-facts/. The attack was masterminded by al-Qaeda operative Abd Rahim al-Nashiri upon instructions from bin Laden to target U.S. warships in Yemen’s southern port of Aden.National Commission on Terrorist Attacks upon the United States, Thomas H. Kean, and Lee Hamilton. 2004. The 9/11 Commission report: final report of the National Commission on Terrorist Attacks upon the United States. (Washington, D.C.): , http://govinfo.library.unt.edu/911/report/911Report.pdf. On September 11, 2001, nineteen al-Qaeda operatives hijacked U.S. commercial airliners and flew them into the World Trade Center in New York and the Pentagon in Washington, D.C. A fourth hijacked airplane crashed in a field in rural Pennsylvania. Nearly 3,000 civilians were killed and thousands more injured.“Timeline: Al-Qaeda,” BBC News, September 4, 2006, http://news.bbc.co.uk/2/hi/3618762.stm. Within weeks, the U.S. launched military operations against al-Qaeda’s suspected safe havens in Afghanistan. That December, bin Laden is believed to have escaped U.S. bombing in Afghanistan’s Tora Bora Mountains and fled to Pakistan.Kate Zernike and Michael T. Kaufman, “The Most Wanted Face of Terrorism,” New York Times, May 2, 2011, http://www.nytimes.com/2011/05/02/world/02osama-bin-laden-obituary.html. “Bin Laden Claims Responsibility for 9/11,” Fox News, October 30, 2004, http://www.foxnews.com/story/2004/10/30/bin-laden-claims-responsibility-for-11.html. Bin Laden is believed to have settled in a compound in Abbottabad during the 2000s, though there is little publically available information on his whereabouts during this time. In 2009, the U.S. government announced that the al-Qaeda leader was most likely living on the Afghanistan-Pakistan border, but conceded that it had a “lack of intelligence” regarding his exact location.“Osama bin Laden Fast Facts,” CNN, May 2, 2015, http://www.cnn.com/2013/08/30/world/osama-bin-laden-fast-facts/. Living as an elusive fugitive, bin Laden was still able to release videos threatening the West and claim responsibility for al-Qaeda-linked attacks. In January 2010, bin Laden claimed responsibility for the failed bombing of a civilian airliner over Detroit, Michigan, on December 25, 2009. Perpetrated by “underwear bomber” Umar Farouk Abdulmutallab, the attack had been planned by al-Qaeda in the Arabian Peninsula (AQAP) cleric Anwar al-Awlaki.Scott Shane and Eric Lipton, “Passengers’ Quick Action Halted Attack,” New York Times, December 26, 2009, http://www.nytimes.com/2009/12/27/us/27plane.html. “Osama bin Laden Fast Facts,” CNN, May 2, 2015, http://www.cnn.com/2013/08/30/world/osama-bin-laden-fast-facts/. Ayman al-Zawahiri, previously al-Qaeda’s second-in-command, was elevated to leader of the international terror group six weeks after bin Laden’s death. Zawahiri has vowed to continue waging jihad against “crusader America and its servant Israel, and whoever supports them.”“Al-Qaeda’s remaining leaders,” BBC news, June 16, 2015, http://www.bbc.com/news/world-south-asia-11489337. Abu Abdallah“TEXT: US GRAND JURY INDICTMENT AGAINST USAMA BIN LADEN,” United States District Court, Southern District of New York, November 6, 1998, https://fas.org/irp/news/1998/11/98110602_nlt.html. Mujahid Shaykh“TEXT: US GRAND JURY INDICTMENT AGAINST USAMA BIN LADEN,” United States District Court, Southern District of New York, November 6, 1998, https://fas.org/irp/news/1998/11/98110602_nlt.html. Osama bin Mohammed bin Awad bin Laden“Osama bin Laden,” Biography.com, http://www.biography.com/people/osama-bin-laden-37172. Qa Qa“TEXT: US GRAND JURY INDICTMENT AGAINST USAMA BIN LADEN,” United States District Court, Southern District of New York, November 6, 1998, https://fas.org/irp/news/1998/11/98110602_nlt.html. Shaykh Usamah Bin-Laden“TEXT: US GRAND JURY INDICTMENT AGAINST USAMA BIN LADEN,” United States District Court, Southern District of New York, November 6, 1998, https://fas.org/irp/news/1998/11/98110602_nlt.html. Usamah Bin-Muhammad Bin-Laden“TEXT: US GRAND JURY INDICTMENT AGAINST USAMA BIN LADEN,” United States District Court, Southern District of New York, November 6, 1998, https://fas.org/irp/news/1998/11/98110602_nlt.html. Osama bin Laden was a Saudi citizen and co-founder and leader of al-Qaeda, notorious for orchestrating the September 11, 2001, attacks that killed nearly 3,000 people. “Hostility toward America is a religious duty, and we hope to be rewarded for it by God. To call us Enemy No. 1 or 2 does not hurt us. Osama bin Laden is confident that the Islamic nation will carry out its duty. I am confident that Muslims will be able to end the legend of the so-called superpower that is America.”“Osama bin Laden v. the U.S.: Edits and Statements,” PBS Frontline, http://www.pbs.org/wgbh/pages/frontline/shows/binladen/who/edicts.html. “We do not differentiate between those dressed in military uniforms and civilians; they are all targets…”National Commission on Terrorist Attacks upon the United States, Thomas H. Kean, and Lee Hamilton. 2004. The 9/11 Commission report: final report of the National Commission on Terrorist Attacks upon the United States. (Washington, D.C.): 69, http://govinfo.library.unt.edu/911/report/911Report.pdf. “It is far better for anyone to kill a single American soldier than to squander his efforts on other activities.”National Commission on Terrorist Attacks upon the United States, Thomas H. Kean, and Lee Hamilton. 2004. The 9/11 Commission report: final report of the National Commission on Terrorist Attacks upon the United States. (Washington, D.C.): 47, http://govinfo.library.unt.edu/911/report/911Report.pdf. “We believe that the worst thieves in the world today and the worst terrorists are the Americans. Nothing could stop you except perhaps retaliation in kind. We do not have to differentiate between military or civilian. As far as we are concerned, they are all targets.”National Commission on Terrorist Attacks upon the United States, Thomas H. Kean, and Lee Hamilton. 2004. The 9/11 Commission report: final report of the National Commission on Terrorist Attacks upon the United States. (Washington, D.C.): 47, http://govinfo.library.unt.edu/911/report/911Report.pdf. “We—with God’s help—call on every Muslim who believes in God and wishes to be rewarded to comply with God’s order to kill the Americans and plunder their money wherever and whenever they find it. We also call on Muslim ulema, leaders, youths, and soldiers to launch the raid on Satan's U.S. troops and the devil's supporters allying with them, and to displace those who are behind them so that they may learn a lesson.”“Osama bin Laden v. the U.S.: Edits and Statements,” PBS Frontline, http://www.pbs.org/wgbh/pages/frontline/shows/binladen/who/edicts.html. “The ruling to kill the Americans and their allies -- civilians and military -- is an individual duty for every Muslim who can do it in any country in which it is possible to do it, in order to liberate the al-Aqsa Mosque and the holy mosque [Mecca] from their grip, and in order for their armies to move out of all the lands of Islam, defeated and unable to threaten any Muslim.”“Osama bin Laden v. the U.S.: Edits and Statements,” PBS Frontline, http://www.pbs.org/wgbh/pages/frontline/shows/binladen/who/edicts.html. “We declared jihad against the US government, because the US government is unjust, criminal and tyrannical. It has committed acts that are extremely unjust, hideous and criminal whether directly or through its support of the Israeli occupation.”“Osama bin Laden v. the U.S.: Edits and Statements,” PBS Frontline, http://www.pbs.org/wgbh/pages/frontline/shows/binladen/who/edicts.html. “For this and other acts of aggression and injustice, we have declared jihad against the US, because in our religion it is our duty to make jihad so that God's word is the one exalted to the heights and so that we drive the Americans away from all Muslim countries. As for what you asked whether jihad is directed against US soldiers, the civilians in the land of the Two Holy Places (Saudi Arabia, Mecca and Medina) or against the civilians in America, we have focused our declaration on striking at the soldiers in the country of The Two Holy Places.”“Osama bin Laden v. the U.S.: Edits and Statements,” PBS Frontline, http://www.pbs.org/wgbh/pages/frontline/shows/binladen/who/edicts.html. “I have benefited so greatly from the jihad in Afghanistan that it would have been impossible for me to gain such a benefit from any other chance and this cannot be measured by tens of years but rather more than that. ... Our experience in this jihad was great, by the grace of God, praise and glory be to Him, and the most of what we benefited from was that the myth of the superpower was destroyed not only in my mind but also in the minds of all Muslims. Slumber and fatigue vanished and so was the terror which the U.S. would use in its media by attributing itself superpower status or which the Soviet Union used by attributing itself as a superpower.”“Osama bin Laden v. the U.S.: Edits and Statements,” PBS Frontline, http://www.pbs.org/wgbh/pages/frontline/shows/binladen/who/edicts.html. “There is no more important duty than pushing the American enemy out of the holy land.”“Osama bin Laden v. the U.S.: Edits and Statements,” PBS Frontline, http://www.pbs.org/wgbh/pages/frontline/shows/binladen/who/edicts.html. “The presence of the USA Crusader military forces on land, sea and air of the states of the Islamic Gulf is the greatest danger threatening the largest oil reserve in the world. The existence of these forces in the area will provoke the people of the country and induces aggression on their religion, feelings and prides and pushes them to take up armed struggle against the invaders occupying the land.”“Osama bin Laden v. the U.S.: Edits and Statements,” PBS Frontline, http://www.pbs.org/wgbh/pages/frontline/shows/binladen/who/edicts.html. “Due to the imbalance of power between our armed forces and the enemy forces, a suitable means of fighting must be adopted, i.e. using fast-moving, light forces that work under complete secrecy. In other words, to initiate a guerrilla war, where the sons of the nation, and not the military forces, take part in it.”“Osama bin Laden v. the U.S.: Edits and Statements,” PBS Frontline, http://www.pbs.org/wgbh/pages/frontline/shows/binladen/who/edicts.html.